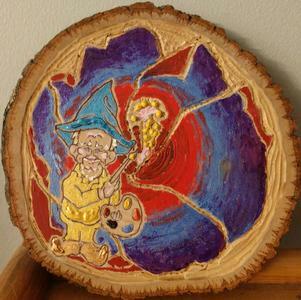 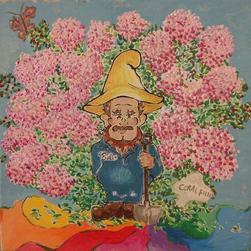 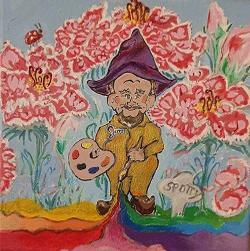 Try decorating with our original Fleming Gnome paintings and brighten your home or office with Good Luck! 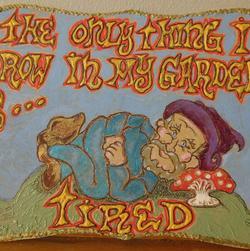 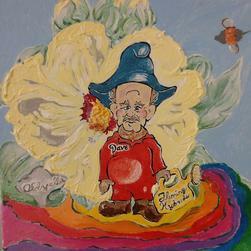 We have Jim, Bob or Dave Fleming as well as other Gnomes painted by us at Fleming's Flowers. 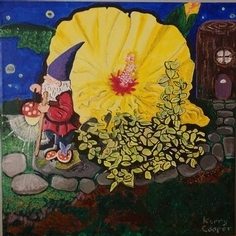 We have originals but we also offer prints upon request at less expensive prices and will be more resiliant in outdoor spaces.